Property listed by Oberg Properties. 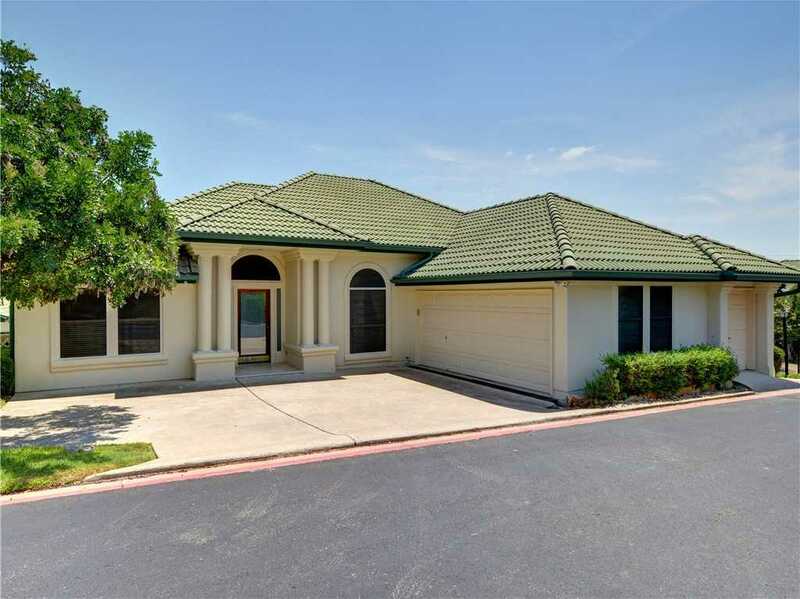 Great one-story, 3/2 home in the heart of Lakeway! LOCK & LEAVE lifestyle. Open floor plan with granite, hardwood floors, window treatments, high ceilings, ceiling fans, fireplace, separate formal dining area, master en suite. Two other bedrooms on opposite side of home from master. Private courtyard. Solar screens & extra attic insulation help w/low utilities. Close to Lakeway Activity Center, parks, trails. Only 15 units in complex.